If the US sales figures of 3D TVs and 3D Blu-ray Disc players are anything to go by, the future of 3D home entertainment looks promising. According to The NPD Group, sales have topped $55 million dollars since the first 3D-enabled products were launched in February. To see the full press release on this story, click here. 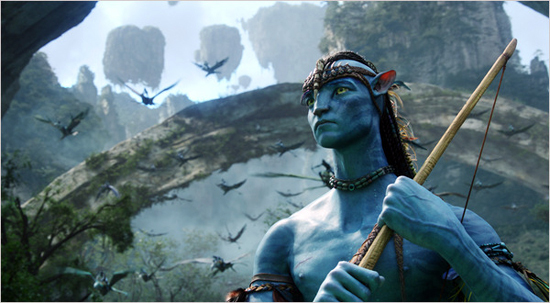 The Avatar juggernaut rumbles on with confirmation from Twentieth Century Fox Home Entertainment (TCFHE) that the film has become the biggest selling Blu-ray title ever in the UK. 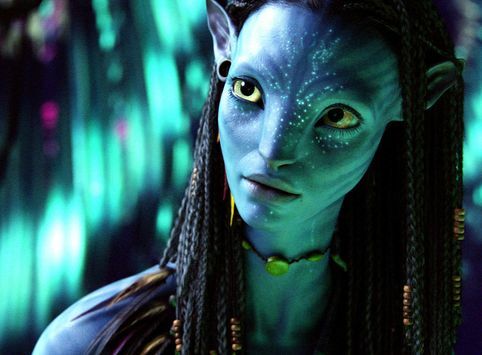 In the two weeks since launch, 505,057 copies of Avatar on Blu-ray Disc have been sold – beating the all-time Blu-ray Disc record of 490,633 held by The Dark Knight and breaking the half a million milestone. HeyUGuys has the full press release. Last week we reported on the record-breaking launch of Avatar in the US and other territories. This success has been mirrored in the UK, where it sold 222,824 copies in one day and became the fastest selling Blu-ray Disc so far in the region. This success was anticipated by supermarket giant Tesco, who kept 180 of its stores open until midnight to meet demand. The Blu-ray Disc edition of Avatar, officially the most successful movie of all time, is finally hitting shelves across the world. Since its launch in the US and some other territories last week, it has become the fastest selling Blu-ray Disc of all time, beating The Dark Knight’s record to sell 2.7 million units in its first four days on sale. As it launches in the UK and other European markets, we take a look at what some of the first reviewers to get their hands on it had to say. Any initial disappointment at the lack of additional content or 3D on this initial release has been blown away by the sheer quality of the audio visual experience. 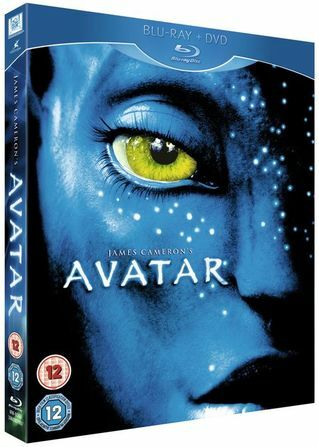 Director James Cameron stated previously that the decision to not include extra material meant that they could dedicate all available space on the Blu-ray Disc to recreating the film’s awesome visuals in the best possible way, and the decision looks to have paid off. New figures released by the British Video Association have shown strong year-on-year growth for Blu-ray Discs based on data for the first quarter of 2010. The figures demonstrate the increasingly popularity of the BD format, which is currently driving growth across the home entertainment market. Sales of Blu-ray Discs are up 69.5% (up 50% in value) on the same period in 2009, reaching 2.7m units in the first three months of the year, taking the total number of Blu-ray Discs sold to 15.6m units since launch. The top three best selling Blu-ray titles of the quarter saw their Blu-ray performance average at 20% of the total disc sales with The Hurtlocker at 24% (Elevation Sales), Up at 17% (Walt Disney Studios Home Entertainment) and 2012 at 20% (Sony Pictures Home Entertainment). For more details, here’s the press release. Kathryn Bigelow’s critically acclaimed The Hurt Locker, nominated for nine Academy Awards and already the recipient of six BAFTA awards, has continued its phenomenal success by becoming Lions Gate Home Entertainment’s fastest selling title ever on Blu-ray Disc. In addition to its awards success, The Hurt Locker has been named in over 250 top ten lists for 2009 in the US and UK media and has been honoured at several film festivals. Directed by Kathryn Bigelow and written by Mark Boal, The Hurt Locker stars Jeremy Renner, Anthony Mackie, Brian Geraghty, Evangeline Lilly, Ralph Fiennes, David Morse and Guy Pearce. For details on the special features available on the Hurt Locker Blu-ray, click here. The Hollywood Reporter is reporting that US sales of Blu-ray Discs increased by 35% in the fourth quarter of 2009, compared to the same period in 2008. Stats from the Digital Entertainment Group (DEG) show that 38.6 million Blu-ray Discs were shipped, with revenue from sales increasing by 70% and revenue from rentals rising by 48%. Over the year as a whole, DEG found that total spending on Blu-ray Discs (sales and rentals) reached $1.5 billion.